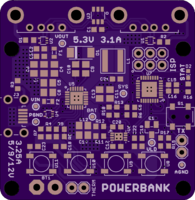 2 layer board of 1.65 x 1.69 inches (42.0 x 43.0 mm). Uploaded: January 11th, 2017 15:05. Dual USB 2.0, combined 3.1A output, 1 x 10W, 1 x 5W, BC1.2 Specification. 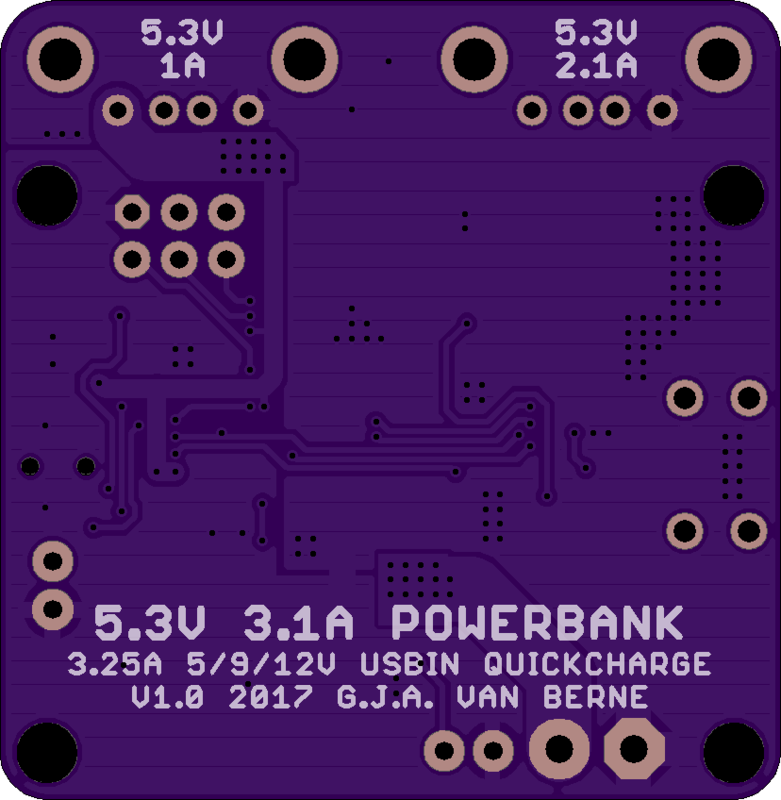 Quickcharge 3.25A micro USB input. Atmega328P MU micro. 4 x WS2812B RGB flashlight / fuel indicator / input current indicator. MAX17043 Fuel gauge. 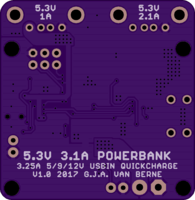 BQ25895 charger booster. ESD / polyfuse protection. BATFET disconnect when stored. 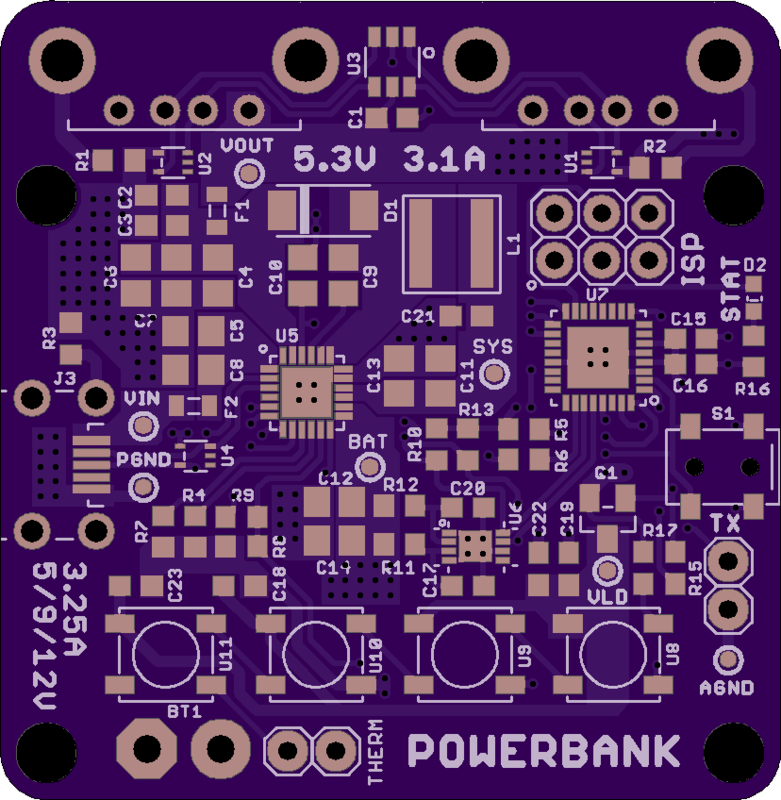 Width pcb sized to multiples of 2 x 18650 dimensions.